Lightolier LyteCaster Collection 5-Inch Frame-in kit includes housing and mounting frame. Kit contains junction box, mounting bars and socket housing. 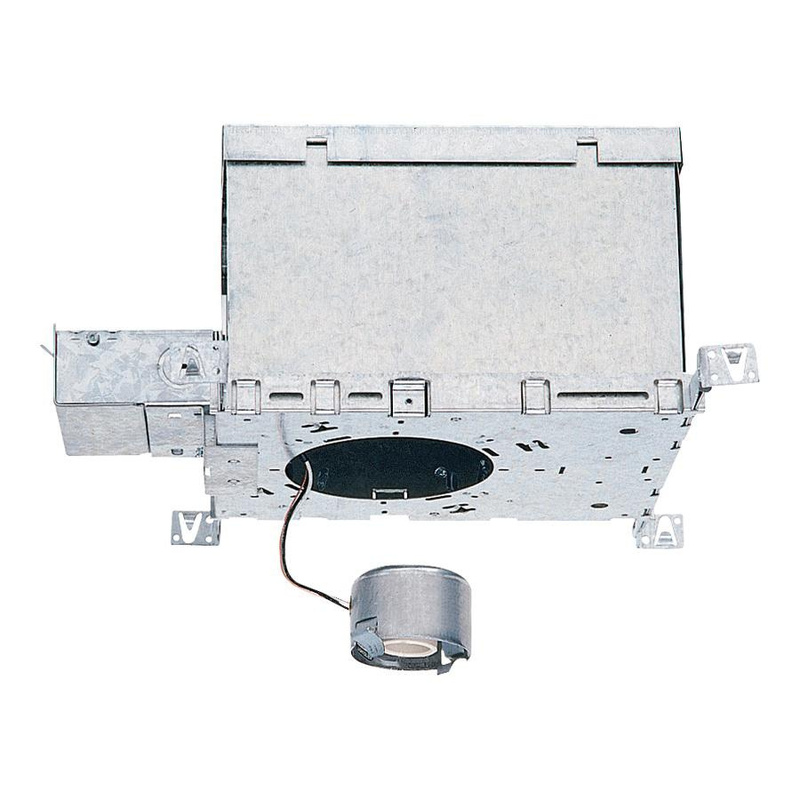 This 0.026-Inch galvanized steel housing accepts 40-Watt incandescent lamp that has porcelain medium base socket. This Airseal® housing reduces air leakage to less than 2 CFM at 1.57 PSF. Socket features impact extruded aluminum or galvanized steel housing. Mounting frame has 0.036-Inch galvanized steel construction. Junction box features 0.032-Inch galvanized steel construction. Junction box measures 2-Inch x 4-Inch x 4-Inch. Mounting bars have 0.059-Inch thick galvanized steel construction. Kit is UL listed.